The Avro Manchester was to fulfill Air Ministry Specification P.13/36. The specification called for a twin engine heavy bomber that could sport a multi-purpose payload of bombs or torpedoes. The Manchester twin engines were underslung on mid-mounted monoplane wings with dihedral outboard of the engines and main wheel undercarriage. The fuselage was of a mostly straight design from nose to tail. The flight deck maintained a good all-around vantage point and featured extensive framing. The empennage was dominated by the identifiable twin vertical fin arrangement common to other Avro designs. The initial production Manchester, however, sported a third vertical tail fin running between the base two and along the rear portion of the upper fuselage. The rear fuselage extended out beyond this assembly, which held the rear gunner's position. Crew accommodations amounted to seven personnel. The aircraft was defended by 8 x 7.7mm (.303 caliber) Browning machine guns in various strategic emplacements. Two were fitted to the nose turret while the tail turret mounted no fewer than four of these weapons. The remaining two were positioned in a dorsal turret mounted to the rearward portion of the fuselage. From an offensive standpoint, the Manchester could field up to 10,350lbs of internally-held bombs or torpedoes (2). Production model specs were quite pedestrian with a top reported speed of 250 miles per hour, a range of 1,200 miles and a service ceiling of just 19,500 feet. Power for the Manchester was derived from the twin Rolls-Royce Vulture I 24-cylicnder X-type engines of 1,500 horsepower each (initially rated as high as 1,760 horsepower each). This selection of powerplant would eventually become the Manchesters undoing as the engines proved to have a nasty tendency to catch fire when in-flight. 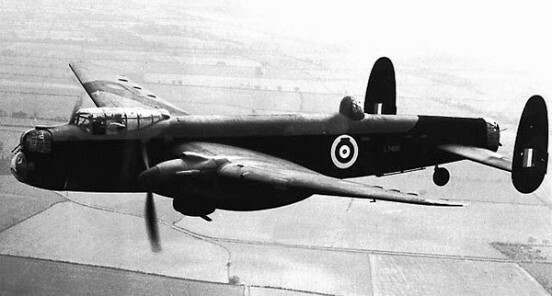 Though the same issue greeted the Handley Page Halifax design, forcing the Halifax to become a four-engine bomber utilizing the Rolls-Royce Merlin X series of engines, Avro continued the Manchester design with the Vulture series. By the series operation run, no fewer than 30 Manchesters were lost to engine failures effectively forcing the bomber out of service. The first Manchester prototype, model L7246, took to the skies for the first time on July 25th, 1939. This aircraft was followed by a second prototype going airborne on May 26th, 1940. The Manchester entered production in this form as the Manchester Mk I model series but was delivered in only 20 such examples. Mk I aircraft joined No. 207 Squadron in November of 1940. Its first mission came about on February 24th, 1941. Manchester Mk IA's soon followed and were delivered in 200 total examples. These particular Manchesters differed in that they had their central tail fins removed in favor of enlarging the remaining two tail fins. In this form, the Manchester would be most oft-remembered. At the height of its operational use, the Manchester formed at least eight bomber squadrons and was utilized by RAF Coastal Command as well. The last Manchester mission was recorded on June 25th, 1942. Production ended almost as soon as it had begun, wrapping up in November of 1941. The Manchester II appeared as a proposed and improved model version of the Manchester series. These Manchester would have sported twin Bristol Centaurus or Napier Sabre engines to make up for the deficiencies inherent in the selected Rolls-Royce Vulture brand engines used in production Manchesters. Unfortunately for the Manchester and Avro, this model series was never produced. A single Manchester Mk I was pulled aside to undergo a conversion to a new Manchester III standard. This new model design (BT308) featured a greater wingspan incorporating the power of four engines but still retaining the three vertical tail surfaces of the original Manchester. First flight of the recently-dubbed "Lancaster" aircraft was achieved on January 9th, 1941. A follow-up model, the DG595, was debuted shortly thereafter and featured the enlarged twin vertical tail fins of the Manchester IA. 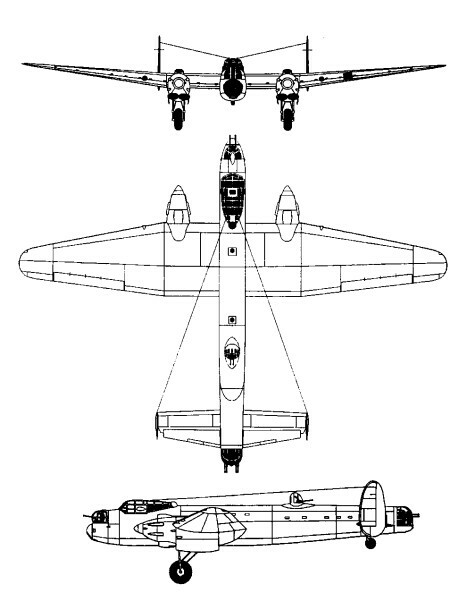 This "Manchester III" would essentially become the prototype model of the Avro Lancaster series of multi-engine heavy bombers. In the end, only 209 Manchesters would ever be completed, with production split between Avro (177) and Metropolitan-Vickers (32). Canada became the only other Manchester operator during its short-lived service life.